I've been searching for this info in the forums and can't find the name for it but I wanted to know what the name for the little gold... ribbon(???) 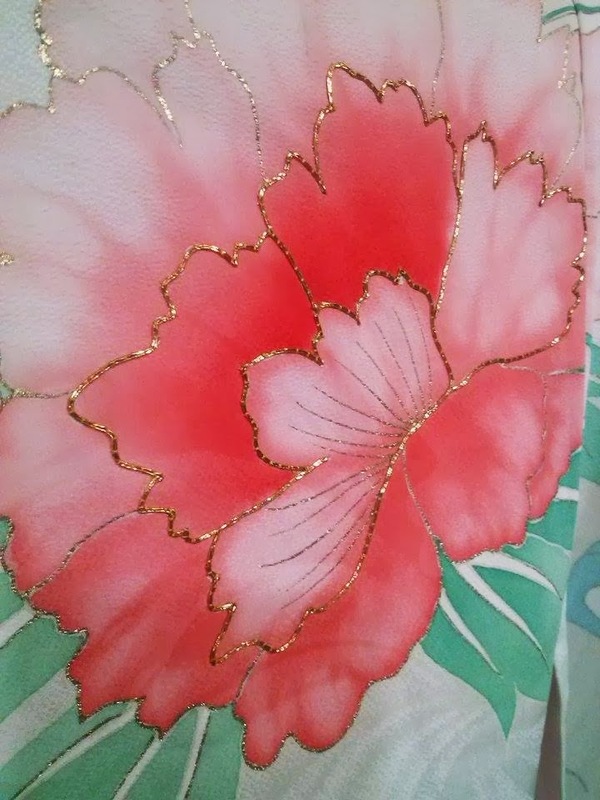 used in the embroidery is and if anybody knows where I can get some of it so that I can redo the embroidery of a furisode I bought in this auction for reselling. By ribbon do you mean thick gold thread that looks like a very find thread wrapped with gold foil? No, I don't think that's it. It is not thread, it is thicker, like a gold covered ribbon and it is (I guess) sewn on ( how do you conjugate the verb for sewing XD I am never sure?) with thread to the kimono. 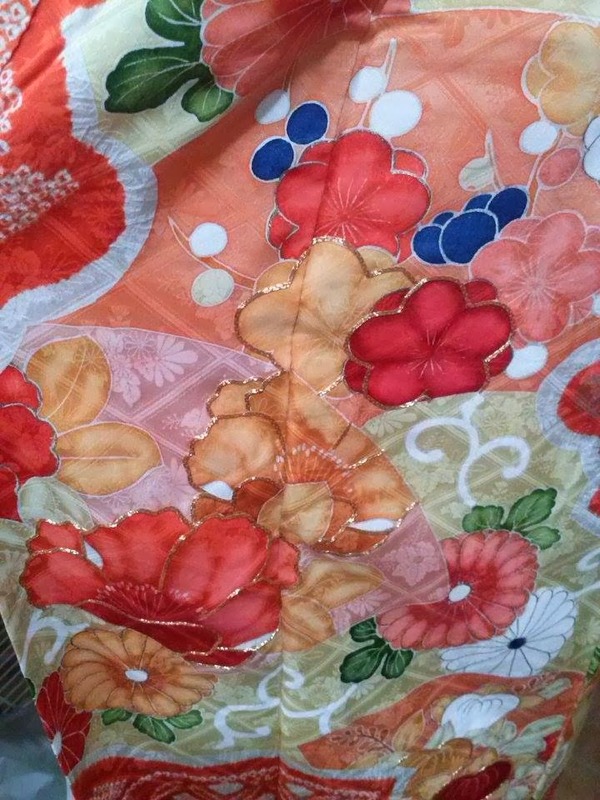 It is the orange kimono on the picture but I included another picture fron a different kimono where the same thing shows up a bit better. The techique of laying a thread on top of the fabric and sewing it down with another thread is called "couching." You need to find a thick gold or metallic thread to lay down and an orange/red thread to sew it down. I have a few kimono that need the same repair, so my last few trips to Japan, I specifically looked for threads to match my projects at flea markets.